Veteran Swiss Military Antique Brass Pump. Go with the flow! 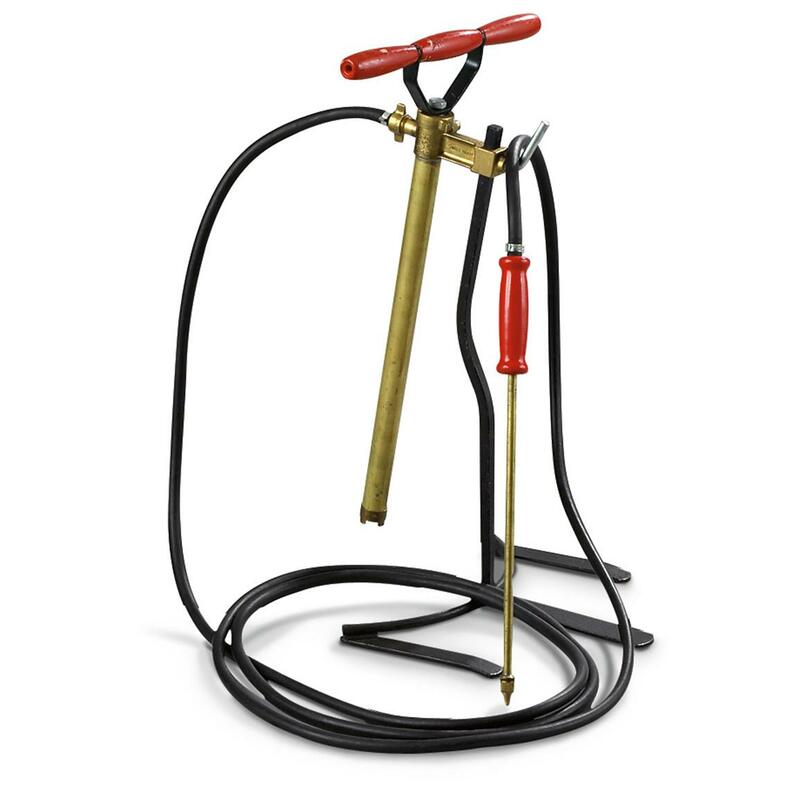 Get this rare hand Pump to spray water, drain holding tanks, wash vehicles, put out small fires and more. 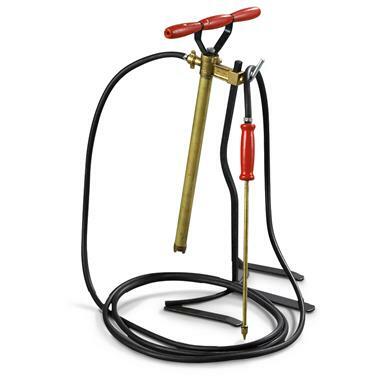 Complete with Pump, stand and hose. 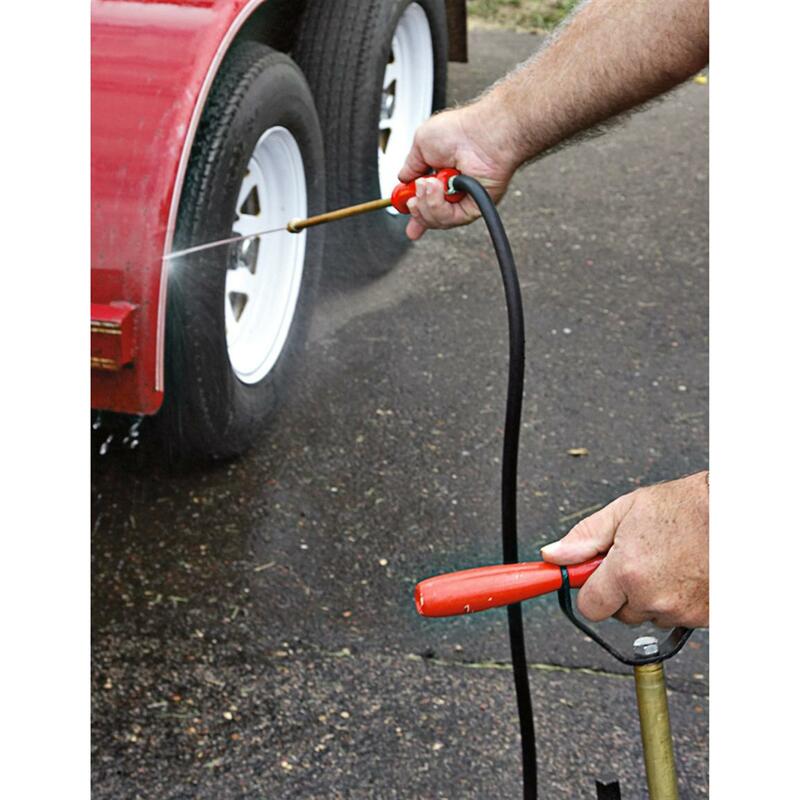 Hand-held sprayer nozzle on end. Whole shebang weighs 10 lbs., 14 ozs. Condition: used, in very good shape. Act ONLINE Now! Please Note : Base style and height adjustment amount may vary.